Purified Water, Magnesium Sulfate, Potassium Chloride, Salt (Adds a Negligible Amount of Sodium) (Minerals Added for Taste). Capri Sun Organic Fruit Punch Juice Drink Blend. No artificial flavors, colors, or preservatives.Sweetened only with fruit juice.No added sugar.USDA organic.New.Natural flavor with other natural flavor.70 calories per pouch.10 pouches.10-6 fl oz (177ml) pouches. Hostess Donettes Brand Frosted Mini Donuts.The sweetest comeback in the history of ever. Semi-Hard. Premium quality. Natural cheese. 0 g trans fat per serving. Quaker Quakes Caramel Corn Rice Snacks are the surprisingly delicious snack with a satisfying crunch. And because they're always baked, never fried, you can snack smart. Artificial flavor. 5 calories per serving. Makes 12 quarts. 90% fewer calories than leading beverages. Low sodium. Product is packed by weight, not volume. Each tub is packed to make 2 qts. 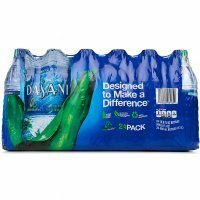 This product 5 calories; leading beverages 70 calories. 98% caffeine free, 15 mg caffeine per serving. Contains 6 tubs. Each tub makes 2 quarts. Sensible Solution: Sugar free. Only 5 calories per serving. Gluten free. Made in Mexico. Betty Crocker Peanut Butter Cookie Mix.Hershey's Kisses Brand Milk Chocolates.Not included.Homemade cookies in 20 minutes.Makes 3 dozen - 2 inch cookies. In 1887, J.M. Smucker began producing fine quality fruit spreads the old fashioned way from his home in Orville, Ohio. Today, Smucker's continues the tradition providing the finest fruit spreads using wholesome and natural ingredients. Fresher fruitier taste! Relieves and helps stop the recurrence of scalp itching, irritation, redness, flaking and scaling associated with dandruff, seborrheic dermatitis and psoriasis.Dandruff protection. 2.5% coal tar. Controls: severe dandruff; seborrheic dermatitis; psoriasis. Denorex Therapeutic 2-in-1 Dandruff Protection fights severe dandruff and helps keep it from coming back. Contains 2.5% coal tar to control severe dandruff, seborrheic dermatitis and psoriasis. Vitamin-enriched for healthy, good-looking hair. Built-in conditioners provide the body and shine you'd expect from a separate conditioner. Applegate Naturals* Gluten-Free Chicken Breast Tenders.Changing The Meat We Eat.No antibiotics used**.Humanely raised***.Gluten & casein free. **Chicken never administered antibiotics or animal by-products. Vegetarian grain-fed diet. ***Chicken raised on sustainable family farms in a stress-free environment that promotes natural behavior and socialization.All natural* breaded chicken breast tenders. *Minimally processed.No artificial ingredients.Certified Gluten-Free.Inspected for wholesomeness by U.S. Department of Agriculture. Complement your dish with this Rice A Roni Wild Rice. It contains tender long grain and wild rice with select herbs to enhance the natural flavor. This Rice A Roni Rice contains 0g trans fat and 0g cholesterol. It also provides a good source of vitamin B6, Thiamin, Niacin and folic acid. You can enjoy it on its own for a quick lunch or add it to chicken and make it a meal. It comes in a convenient 4.3-oz box with complete cooking instructions and recipe ideas printed on the back.